Raw Talent Academy - Raw Talent Academy, born from a frustration at the lack of fresh talent within the sales industry, is an award-winning Sales Recruitment business with a proven track record of unearthing hidden sales talent, showcasing their ability and nurturing success. 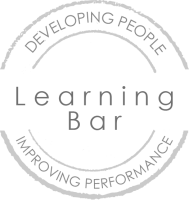 Learning Bar - We work with Learning Bar (an experienced learning design & development company) to create the full learning journey for our trainees and ensure our training programmes are engaing, inspirational and designed with the learner in mind. Boost Performance - London-based, Boost Performance, is a specialist, highly effective value-proposition design and demand-generation agency. Its purpose is to boost the customer, partner and shareholder value of its clients.